Traffic lights and signals are there to protect drivers and pedestrians. When they are ignored the results can be serious. Though many St. Louis residents think they understand intersections perfectly, many of them would fail if you gave them a test on the subject. The reason is that there are a few confusing intricacies that a lot of drivers don’t fully understand. 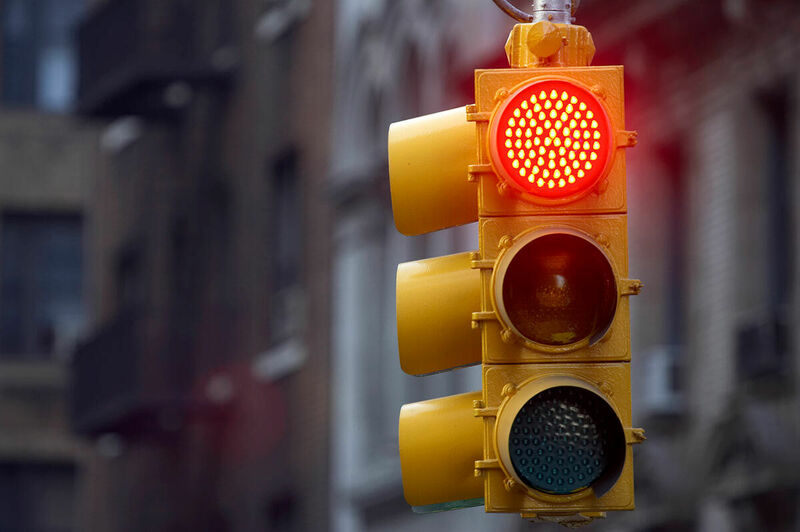 Four traffic features require you to stop: Stop signs, red lights, flashing red lights, and traffic lights that are off. When doing so, make sure you come to a complete stop before starting again. Just slowing down to a low speed and then starting up again is not sufficient. While stop signs and red lights are straightforward, many drivers do not know how to act when a stop light flashes red or turns off. In these situations, you treat the intersection as if it were a four-way stop sign. Though this law varies from state to state, Missouri allows drivers to turn right on red lights. When you do this, make sure that no other cars are coming down the road. If they are, wait for them to pass because they have the right of way. The one exception to the right on red rule is when there is a sign indicating that you cannot turn. If there is, follow that sign over the general guideline. Some states allow this kind of turn, but Missouri is not one of them. If you are turning left at an intersection, you must wait until your light is green before entering. When you are heading towards an intersection and see a yellow light, that serves as a warning of the red light coming soon. The law indicates that in these situations, you are allowed to enter the intersection as long as the light is still yellow. One thing to note, though, is that last second entries are often both unsafe and misinterpreted by police officers. For these reasons, you should always lean towards stopping over driving through a yellow light. As you drive through St. Louis, you may come to an intersection that has a red light camera. Not only will you see the camera, but there will also be a sign that says something like “photo enforced.” Though these devices and signs may still be up, the cameras themselves may not be functional. This is because Missouri supreme court deemed them unconstitutional because they cannot confirm the identity of the driver solely based on the vehicle they are driving. No matter who you are, brushing up on traffic laws is always a smart decision. When you do, you increase your odds of staying safe. Unfortunately, crashes are sometimes inevitable. If you suffer a collision, you can always call a St. Louis car accident lawyer for assistance. If you or a loved one have been injured due to another driver running a red light, contact The Hoffmann Law Firm L.L.C. today. We are dedicated to getting the maximum compensation for injury victims in Missouri and Illinois. After a serious injury or the loss of a loved one in a car, truck or motorcycle accident, you need to know that someone is on your side, protecting your rights and presenting an effective case to the insurance company.